Samsung Galaxy Jean is the latest mid-range smartphone that has been introduced in South Korea. 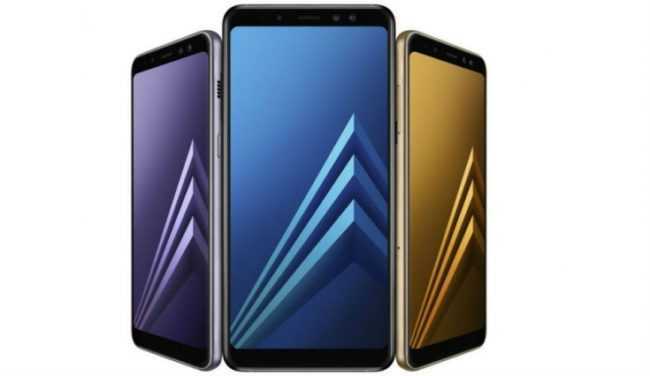 The official listing reveals that it is nothing but the Galaxy A6+ smartphone that was introduced in May. The Samsung Galaxy Jean (SM-A605K) is available through the South Korean carrier named KT with a full retail price of 440,000 won ($396). The handset is also available in two color options like Black and Lavender. The Galaxy Jean features a 6-inch Super AMOLED display that supports 18.5:9 aspect ratio and Full HD+ resolution of 2280 x 1080 pixels. The Snapdragon 450 chipset that includes 1.8 GHz octa-core processor is present under the hood of the phone. The SoC is accompanied by 3 GB of RAM. It has an internal storage of 32 GB. For more storage, it is also equipped with a microSD card slot. It is preinstalled with Android 8.0 Oreo that is overlaid with Samsung Experience 9.0. The Samsung Galaxy Jean features a vertical dual camera setup with a primary 16-megapixel sensor with f/1.7 aperture and a secondary 5-megapixel sensor with f/1.9 aperture. At the front is an LED-flash 24-megapixel selfie camera with f/1.9 aperture. A fingerprint scanner resides below the dual camera setup. The Galaxy Jean receives power from 3,500mAh battery. The handset is equipped with usual connectivity features such as 3.5mm audio jack, microUSB 2.0, 4G VoLTE, Wi-Fi 802.11ac and Bluetooth 4.2. The device features 160.1 x 75.7 x 7.9mm and it weighs 191 grams.